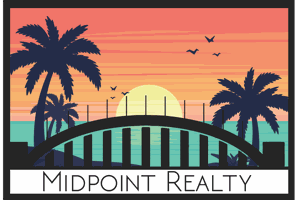 Purchase a home or list a home with Midpoint Realty and at closing we gift you a luxury cruise certificate for two!! 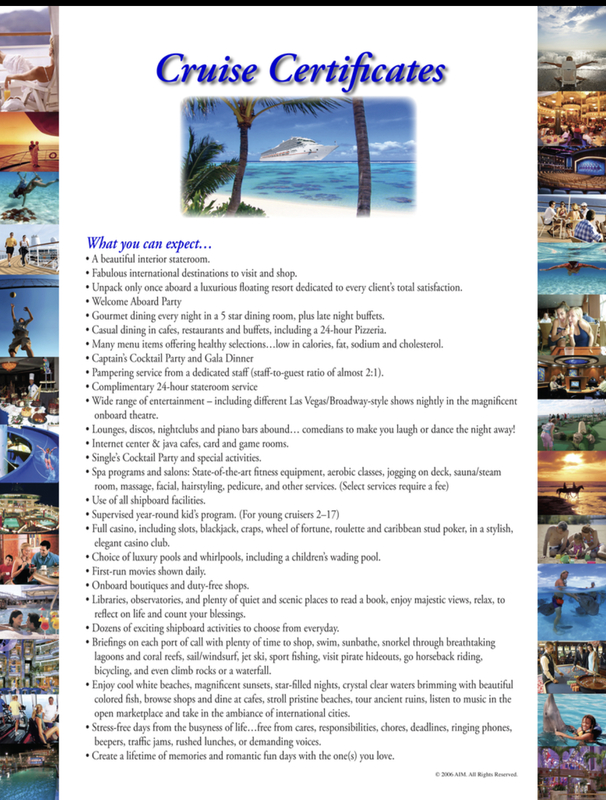 You can choose from Mexico, the Bahamas or the Western Caribbean. 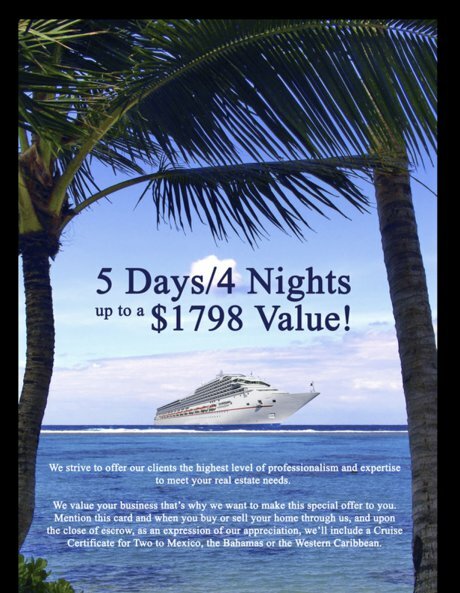 Cruise Certificate holders pay only $39.60 per day/per person for port charges, taxes and fees. Yes there is that fee, but you can't go on vacation in any city and eat all day and stay in a beautiful resort hotel for less than $40.00 per day/per person. You have 18 months from the date we issue certificate to you to use it. There are 175+ cruise dates and many itineraries to choose from. Ports of departure include Los Angeles, Galveston, New Orleans, Jacksonville, Port Canaveral and Miami. 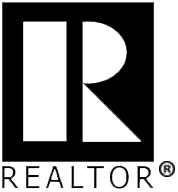 Any other questions give us a call 239-257-8717.